Since its founding in 1996, the Odyssey Writing Workshop has become one of the most highly respected and effective programs for writers of fantasy, science fiction, and horror in the world. In 2010, to further Odyssey’s nonprofit mission of helping developing writers of the fantastic, we adapted the techniques that are so effective at the in-person workshop to create online classes. We’ve worked very hard to ensure that our online classes are of the same caliber as our in-person workshop and that they deserve to carry the name of Odyssey. In live class meetings, students learn specific, invaluable techniques, ask questions, and participate in discussions. Between meetings, they interact with each other and the instructor in a discussion group, complete demanding assignments, and give and receive in-depth feedback. Each student also has a one-on-one meeting with the instructor. Odyssey Online offers only three online classes each year and admits only fourteen students per class, to keep quality high and ensure each student receives individual attention. Application deadlines are in early December, and courses are held in January and February. While Odyssey’s nonprofit mission is to help writers of fantasy, science fiction, and horror, writers of any genre of fiction are welcome to apply. Courses will also cover issues relevant to writers of adult, young adult, and middle grade fiction. How do you convey a character’s emotion? You might just tell readers what the character is feeling (“He was afraid”), which can convey that information clearly but fail to make the emotion real and immediate. You might try an internal life sign (“His heart pounded”), which can be more immediate but often feels clichéd. Or you might try an external action (“His eyes widened”), but this can sometimes feel like overacting, or if we’re in the character’s point of view, it can feel like we’ve jumped to a point of view outside the character. Scott will explain the most effective techniques to convey character emotions realistically and powerfully on the page, so that moment by moment, you can create an authentic and evocative experience. He’ll show you which techniques work best for point-of-view characters, and which work best for non-point-of-view characters. He’ll also discuss how to handle multiple emotions, conflicting emotions, and complex emotions, because that’s when stories get really interesting. More than that, the course will cover strategies for developing situations and stories with strong potential for emotional resonance, and how to use character emotions to make every page a gripping read. You’ll dig deep into your own emotional reservoir to find that emotional truth that will give readers an authentic, powerful, involving experience. For most writers, crafting strong, effective description is a major struggle. Some avoid description, fearing they’ll lose the reader’s attention, and instead they leave the reader lost in a vast, white nothingness. Some embrace description, drowning the reader in details so important ones are lost and unimportant ones create expectations that will never be fulfilled. Some use a hit or miss approach, throwing in a detail here or there and hoping they’ve magically made the right choices. You don’t need to guess or struggle anymore. Award-winning fiction writer, poet, and editor Lucy A. Snyder will guide you through this critical and often-avoided subject. You’ll learn how to identify the key details that will immerse readers in your world, allow them to feel they know your characters, and put them in the middle of the action. Lucy will explain the qualities of strong description, how to know how much description is enough, which details to include, and where in the scene to include them. You’ll also learn how to use subtext so your description suggests deeper meanings, and how to write description with emotional impact. More than that, this course will explore the role of point of view in description. How a character sees and describes his world can deepen personality, convey motivation, increase tension, and drive plot. Lucy will also discuss how to use poetic techniques in your description, and how to avoid common descriptive pitfalls. You’ll finish this course feeling much more assured about your description and knowing how to use description to make your story more impactful. In response to many requests, we’re bringing back this course, one of our most highly rated. There are few things more difficult than revising a novel. You’ve worked on it for months, or years, and you’re so immersed in it you can’t step back and see the big picture. You might polish the draft and make minor changes, but you don’t really know what to change to turn that rough draft into a powerful, unified novel. And chances are, major changes are necessary. In this course, Barbara Ashford, one of our most popular instructors, will guide you in a deep examination of the “big picture” elements of your novel–premise, promise, theme, world, character, plot. Analyzing each of these building blocks and how well they are working together can give you new perspective on your novel, reveal weaknesses, and provide direction for major changes that will help you to maximize your novel’s potential. Whether you’ve already completed your first draft, are still working on it, or are struggling with revisions, this course will provide invaluable insights into your novel through the lectures, assignments, and critiques. 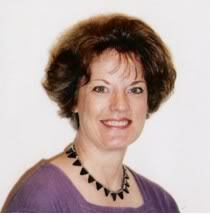 Barbara’s feedback on assignments has been widely praised for its depth and helpfulness. Barbara’s course will be longer than the standard Odyssey online class, with four class meetings rather than our usual three, so you’ll be able to fully process and incorporate the important concepts discussed. If you’re participating in #NaNoWriMo, this course can show you the path from rough draft to completed novel. If you’re willing to dedicate your time and energy to improve your writing, if you’re willing to hear about the weaknesses in your writing and work to improve them, then Odyssey Online is for you. More information about Odyssey Online can be found at http://www.odysseyworkshop.org/online.html or by emailing jcavelos@odysseyworkshop.org. In addition, the Odyssey site, http://www.odysseyworkshop.org, offers many resources for writers, including free podcasts, a monthly discussion salon, a blog, a critique service, coaching, consultations, and information about the six-week, in-person workshop. Become the writer you’ve always known you could be! Thank you to all those who have registered for the winter online writing classes with Jeanne Cavelos and Barbara Ashford! There is still time to register for “Point of View: The Intersection of Character and Plot,” taught by David B. Coe, author of The Thieftaker Chronicles (writing as D.B. Jackson), the LonTobyn Chronicle, a trilogy that was awarded the William L. Crawford Award for best new fantasy series, the Winds of the Forelands series, and the Blood of the Southlands trilogy. Odyssey Online helps you to learn new techniques and build your skills, and provides in-depth feedback to guide you. If you’re ready to hear about the weaknesses in your writing and ready to work to overcome them, you’d be welcome to apply. Of all the many tools writers have at their disposal, perhaps none is more powerful, or more overlooked, than point of view. Often thought of simply as the perspective through which a story is told, it is actually far, far more. It is the mechanism by which we guide our readers through the plot points, narrative arcs, and emotions of our fiction. It is the place where all of our storytelling elements–character, plot, setting, prose–come together. And point of view can also provide solutions to some of the most common problems encountered by aspiring writers and professionals alike. Award-winning author David B. Coe, highly praised mentor and teacher of fiction writing, will show how weaknesses in point of view can undermine an entire story. We will begin our discussion of point of view by looking at the many factors that go into choosing the correct point of view character or characters for our stories, as well as the proper voice for those characters. We will then move to the study of how point of view influences not only character arc, but also our establishment of plotting, setting, and pacing. We’ll explore the challenges in writing from the point of view of non-human characters and characters from alien cultures. Finally we will conclude the course with an exploration of the ways in which POV can be used to address a host of common problems writers encounter in their work. “Making It Real” by E.C. Ambrose (#87 and #88), who discusses the importance of worldbuilding, setting, details, and POV. “Productivity for Writers” by Alex Hughes (#85 and #86). Alex Hughes shares how to prioritize writing and strategies for focusing on getting words on the page. Alex will also be leading our first live webinar in February 2016. See the details and register here! “Characterization” by Ellen Kushner and Delia Sherman (#83 and #84). Guest lecturers at the 2014 Summer Workshop, Ellen and Delia talked about writing characters with your own heart and insight, and creating in depth, complex characters. Start the new year by leveling up your writing skills! 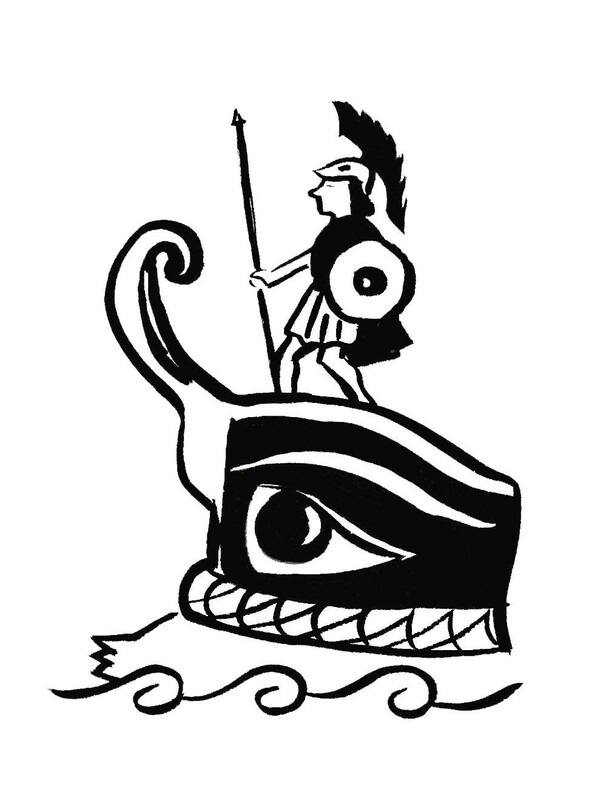 The Odyssey Writing Workshops Charitable Trust, widely known for its highly praised, six-week, in-person workshop, is offering three intensive online writing classes this winter, as well as Odyssey’s first webinar. Point of View: The Intersection of Character and Plot, taught by award-winning author David B. Coe. This winter, the Odyssey Writing Workshops Charitable Trust is offering three live online courses with the same high quality and rigorous approach as its acclaimed, in-person Odyssey workshop: Showing versus Telling in Fantastic Fiction, One Brick at a Time: Crafting Compelling Scenes, and Effective Endings in Speculative Fiction. Since its inception in 1996, the Odyssey Writing Workshop has become one of the most highly respected programs for writers of fantasy, science fiction, and horror in the world. Through an advanced curriculum, intensive focus, directed study, and detailed feedback, students gain a much deeper understanding of the elements of fiction writing and make major improvements in their work. To further our mission of helping developing writers of fantasy, science fiction, and horror, we have taken the techniques that are so effective at the workshop and adapted them to create online classes. We’ve worked very hard to ensure that our online classes are of the same quality and caliber as our in-person workshop and that they deserve to carry the name of Odyssey. In this tradition, we are proud to announce our Winter 2014 online writing courses. Instructors Jeanne Cavelos, Barbara Ashford, and Nancy Holder will talk about ways to craft powerful dialogue, imbue emotional resonance into your story, and let you in on some secrets of storytelling. For more information on class size, technology requirements, and details on how to apply, visit www.sff.net/odyssey/online.html. For seventeen years, Odyssey has pursued its mission to help developing writers of fantasy, science fiction, and horror improve their work by holding its annual six-week, in-person workshop in Manchester, New Hampshire. Three years ago, Odyssey expanded its mission, taking the teaching techniques that are so effective at the workshop and adapting them to create online classes. Director Jeanne Cavelos explains, “Technology allows us to hold live online class meetings, so students can ask questions and participate in the class. Each course is designed to provide intensive focus on a particular aspect of fiction writing, and challenging homework assignments help students to improve their skills. Feedback from the instructor and from classmates allows students to gauge their progress. Each student also has an individual meeting with instructor.” Courses provide a supportive yet challenging, energizing atmosphere, with class size limited to fourteen students. While courses are designed for adult writers of fantasy, science fiction, and horror, interested writers of other genres are welcome to apply. The Odyssey Writing Workshop, one of the most respected programs for writers of fantasy, science fiction, and horror, is offering three online writing classes this winter. Each class is focused on a particular element of fiction writing and is designed for writers at a particular skill level, from beginners to professional writers. For sixteen years, Odyssey has pursued its mission to help developing writers of fantasy, science fiction, and horror improve their work by holding its annual six-week, in-person workshop in Manchester, New Hampshire. But last year, using the latest technology, Odyssey expanded its mission, taking the teaching techniques that are so effective at the workshop and adapting them to create online classes. Odyssey Director Jeanne Cavelos explains, “We have worked very hard to ensure that our online classes are of the same quality and caliber as our in-person workshop and that they deserve to carry the name of Odyssey.” Courses provide a supportive yet challenging, energizing atmosphere, with a class size limited to fourteen students. While courses are designed for adult writers of fantasy, science fiction, and horror, interested writers of other genres are welcome to apply.